So, what are your plans for the next days? Will you quietly celebrate All Saints’/All Souls’ Day and visit the graves of your loved ones? Or will you choose the American “melting pot” way and honour the Irish feast of Halloween by dressing up as a notorious undead character from Eastern European folklore? 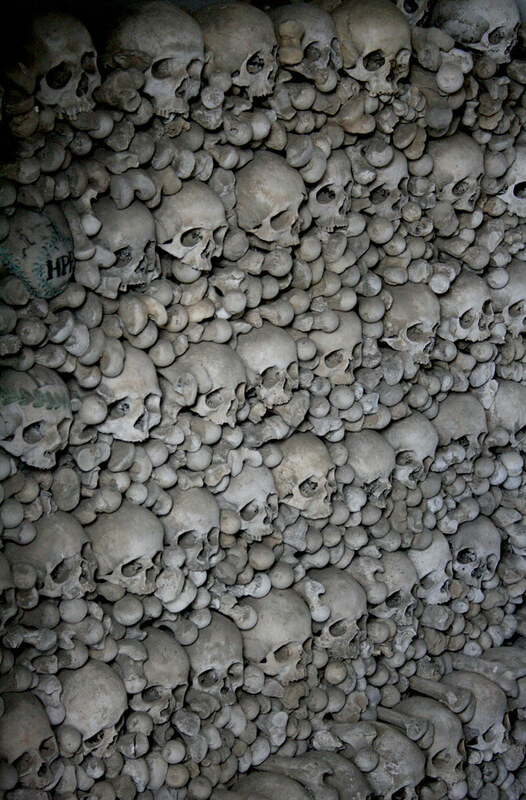 No, what you see in the photo is not a still from some trashy horror flick but the interior of a plain old Roman Catholic ossuary. In an ossuary, of course, the bones wouldn’t just be chucked in a heap but carefully arranged in more or less elaborate ornamental patterns. After all, they still were the remains of your ancestors and you’d want to be able to visit them every now and then, especially on a feast like All Saints’ Day. On the other hand, if you don’t know the context, the picture does fit rather well with the lurid, spooky, pseudo-gothic character of Halloween. Plus, it should go well with other traditions of remembering the dead and the deceased (think, for example, Mexico’s Dia de Muertos), too. In fact, most people will agree that human skulls are a striking, perhaps the most striking symbol of mortality and death. Just think about those famous Vanitas still lifes in 17th and 18th century painting, illustrating the transitoriness of earthly existence – there’s a skull in, I believe, 99% of them. Of course, they also include other, more culturally and historically coded symbols of transience, like hourglasses, rotten fruit or bubbles. Yes, bubbles. Well, you have to admit, they tend to be rather short-lived and to burst without any apparent reason, so it’s not too far-fetched to view them as reminders of the brevity of life and the suddenness of death. And, in case you haven’t chosen an outfit for Halloween yet, why not try something different this year? 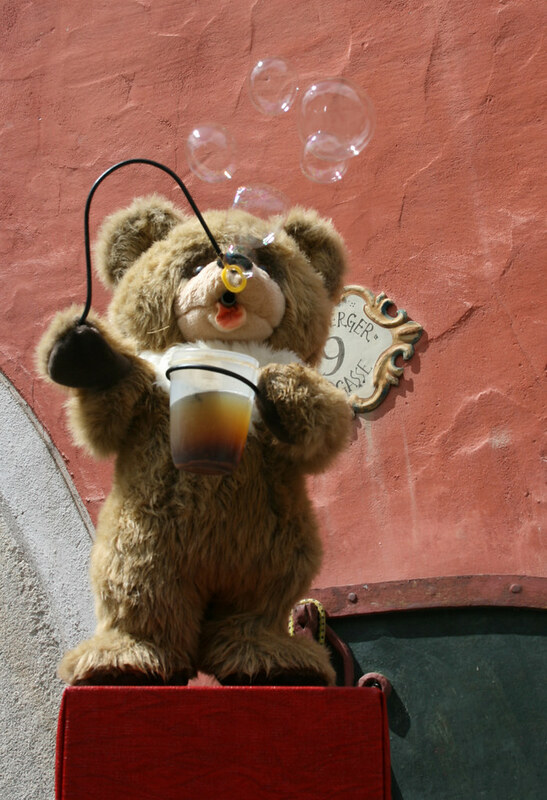 How about a bear costume and a bottle of bubbles? 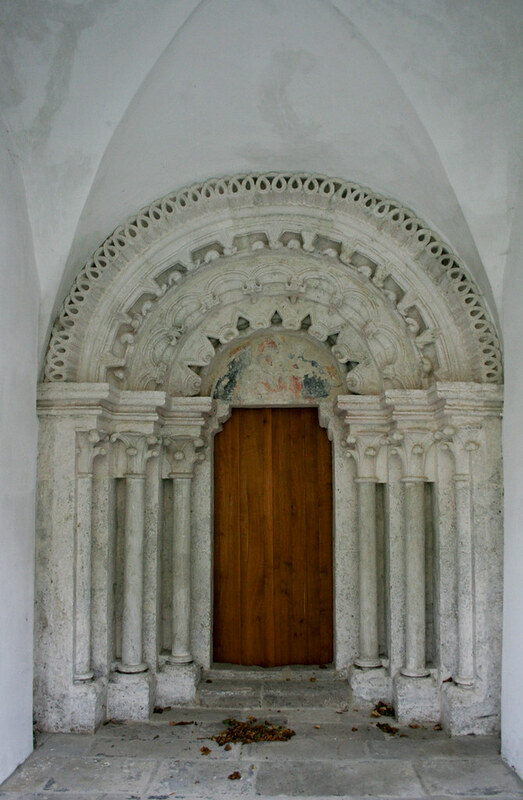 These portals date from the mid-13th century, so they’re roughly contemporary to the porch of the cemetery chapel in Tulln where we visited earlier this year. 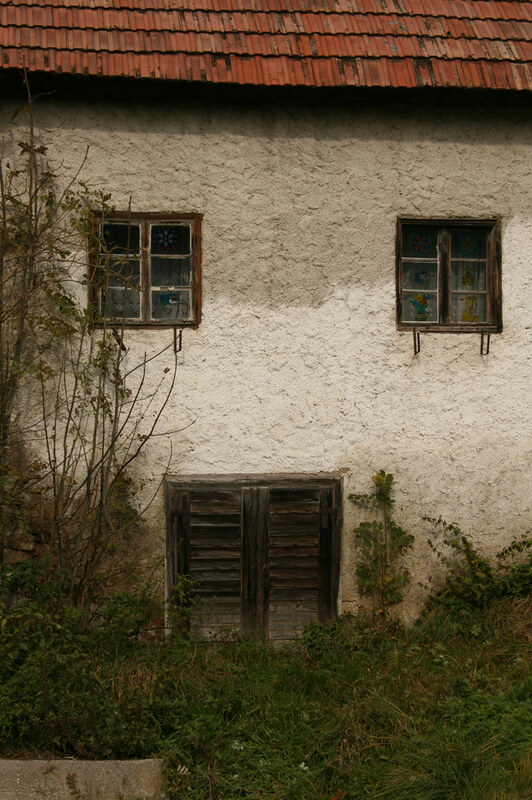 Some of those elaborate ornaments used on the north portal in Klein-Mariazell [pictured above] may even be found in Tulln as well. In both cases the stonemasons clearly tried to outdo themselves, decorating each moulding on the archivolt in a different style. 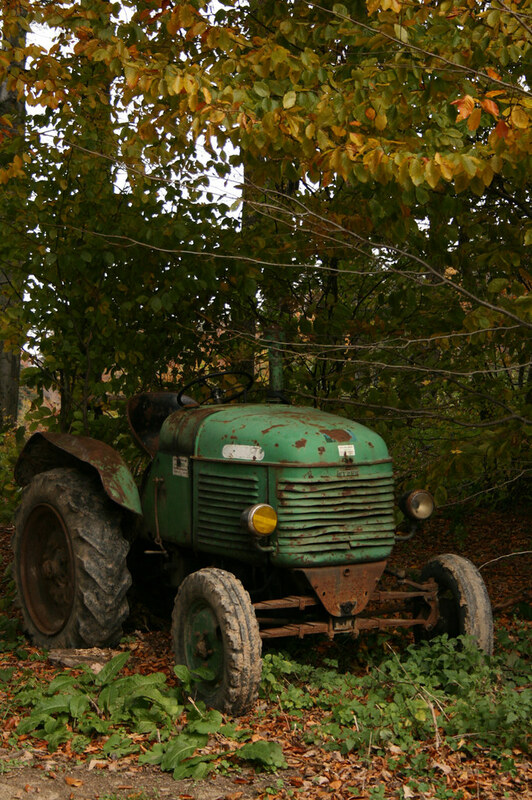 Can’t you just about imagine James Dean driving this thing? * See last picture in previous post. 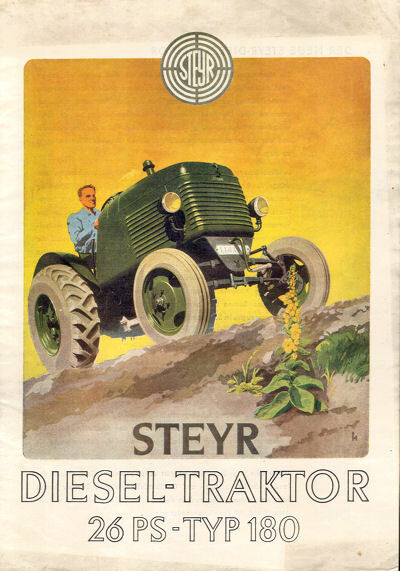 ** In case you’re prone to obsessing over motorized vehicles, there’s more information on the Steyr 180 at www.zuckerfabrik24.de and at www.typ180.at. Both sites are, however, in German.